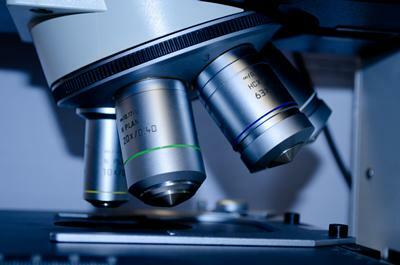 A study led by the University of Southampton has unearthed findings which could support the creation of the first vaccine for the deadly Lassa virus. This highly infectious agent is amongst a panel of viruses, which includes Ebola, which cause severe hemorrhagic fever in humans. As there is currently no effective vaccines or treatments available to combat this virus, the findings, published in Proceedings of the National Academy of Sciences of the United States of America (PNAS), will support efforts to generate a vaccine to tackle the subsequent outspread of the disease. The Lassa virus is commonly found in West Africa and is transmitted to humans mainly through handling rats, food or household items contaminated by rats’ urine and faeces. The virus can spread between people through direct contact with the body fluids of a person infected with Lassa fever, as well as contaminated bedding and clothing. According to figures released by the Nigeria Centre for Disease Control (NCDC), the current Lassa virus outbreak in Nigeria has resulted in a total of 444 confirmed cases, including 111 recorded deaths to date. This is the largest outbreak of the Lassa virus ever reported in Nigeria. Any successful vaccine to combat the Lassa virus would likely include the viral spike that functions on the virion surface and is responsible for helping the virus enter a target cell. It is hoped that by including mimics of the viral spike the body’s immune system will make antibodies against the spike that are capable of neutralising the virus. Making a vaccine against Lassa virus is difficult and one characteristic, which enables it to avoid detection by the immune system, is a dense coat of sugars that are attached onto the surface of the spike, otherwise known as glycans. Professor Max Crispin, Principal Investigator of the study from the University of Southampton, said: “We hope that by understanding the glycan shield of Lassa virus we will be able to help in the efforts to generate an effective vaccine. As part of the study, titled ‘Structure of the Lassa virus glycan shield provides a model for immunological resistance’, the research team has created a detailed map of the glycan shield which has shed light on why the virus is so immunologically resistant. The findings provide a potential blueprint for understanding how glycans render the glycoprotein spikes of Lassa virus and how the infection could be combated. Professor Thomas Bowden, co-author of the study from the University of Oxford, said: "The development of a vaccine for a virus such as this is a long and complex process. 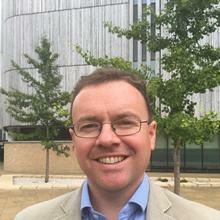 Professor Max Crispin joined Biological Sciences from the Glycobiology Institute at the University of Oxford. He runs the Glycoprotein Therapeutics Laboratory which is predominantly focussed on developing anti-viral vaccines and new antibody-based therapies against cancer.